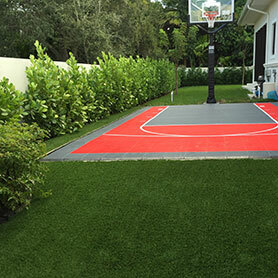 At Sport Court South Florida, we provide you a multitude of services and products, from resurfacing your tennis court to custom basketball flooring. 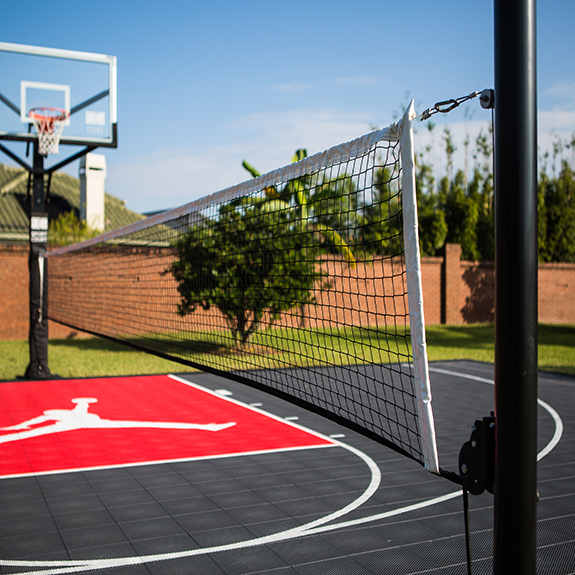 One of the safest outdoor basketball court surfaces in the world,PowerGame™ features the lowest skin abrasion of any outdoor court surface and is made of the highest quality materials and UV stabilizers to protect your investment. The patented Double-Tier shock absorbing grid and Lateral Forgiveness™ reduce joint strain and fatigue to help your family play longer and more safety than ever. 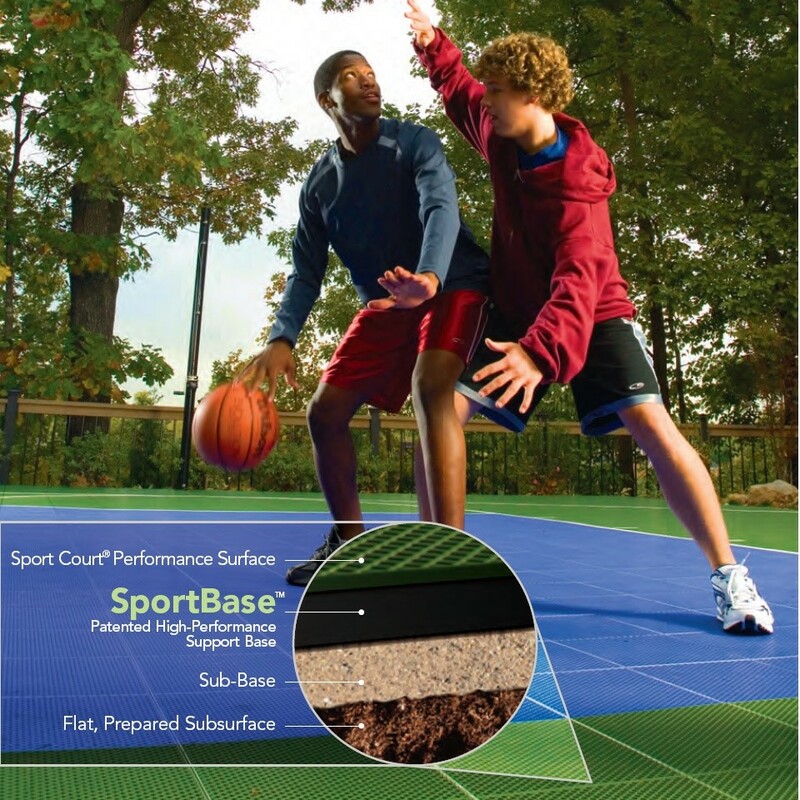 Engineered from 100% recycled material, SportBase is made for use under any game court system. SportBase™ is the replacement you’re looking for, reminding you that it’s what’s underneath that counts. 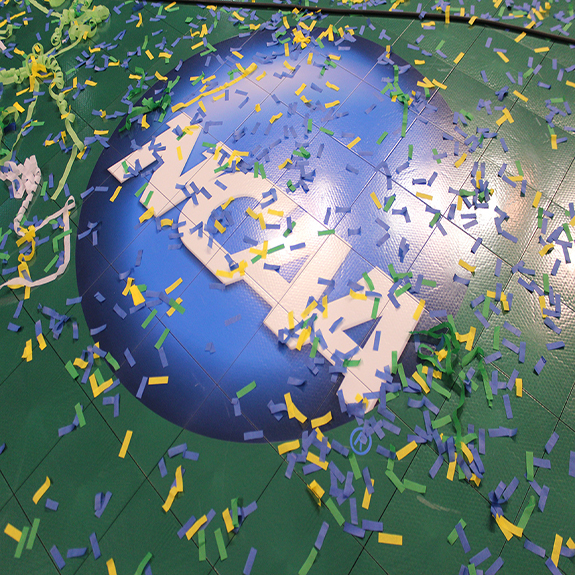 Response HG: Maple Select™ is a durable, advanced, field-renewable surface. The factory-applied polyurethane finish is what sets it apart from other floors. You want a championship tested floor that gives athletes superior performance, traction and shock absorption at any level of play. 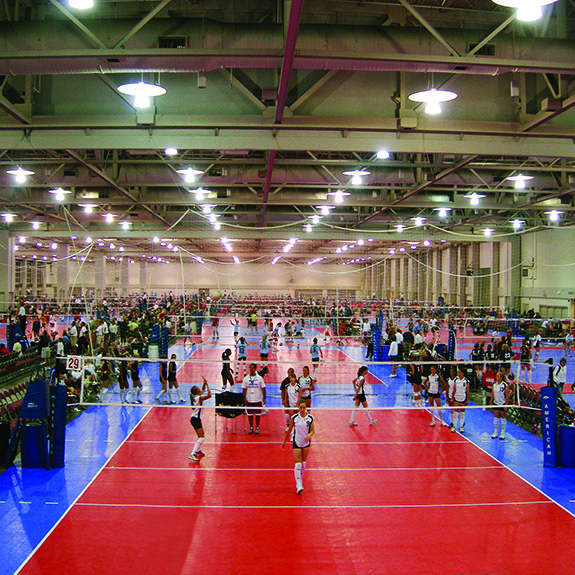 As the Official Playing Surface of both the NCAA Volleyball Championships and the USA Volleyball National Teams, Response HR™ gives you just that. 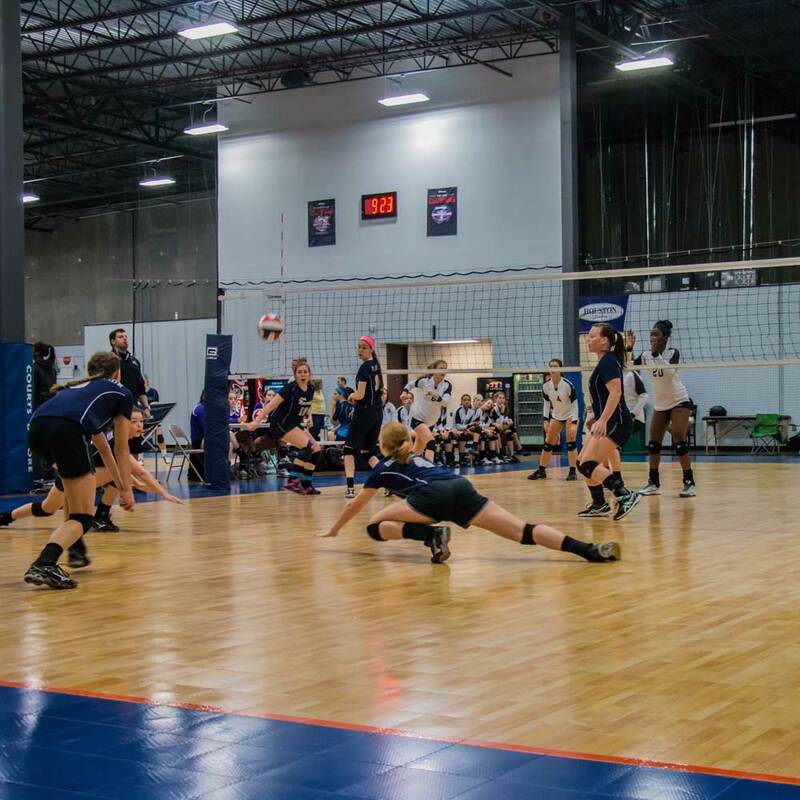 The Official Playing Surface of the NCAA® Volleyball Championships and USA Volleyball National Teams, Response™ is championship tested and provides superior performance, traction, and shock absorption suitable for nearly any sport at any level. 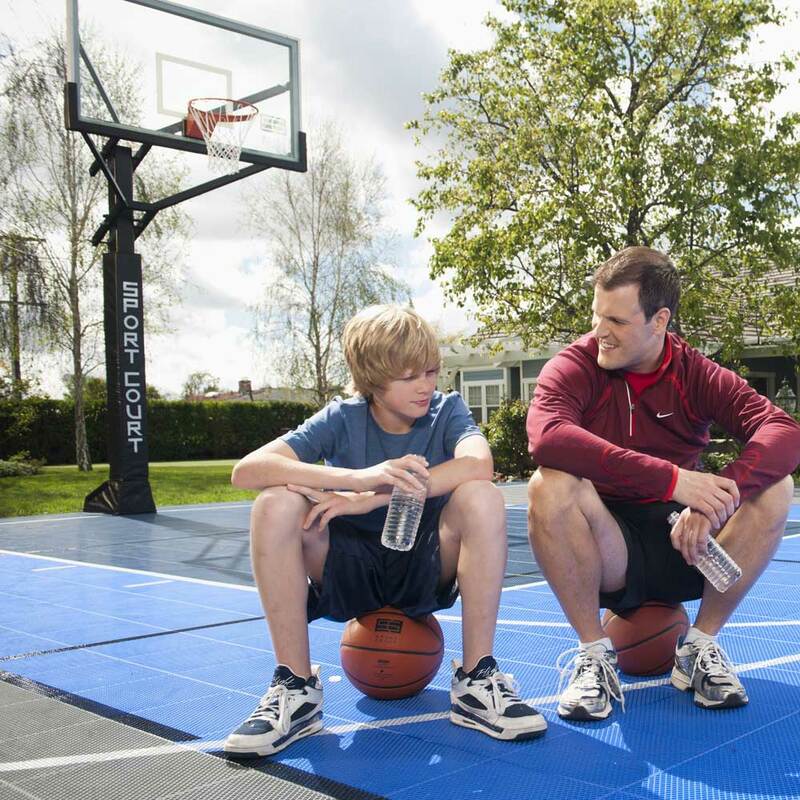 Low life-cycle costs save you money and your court can be installed in as little as 3 days. 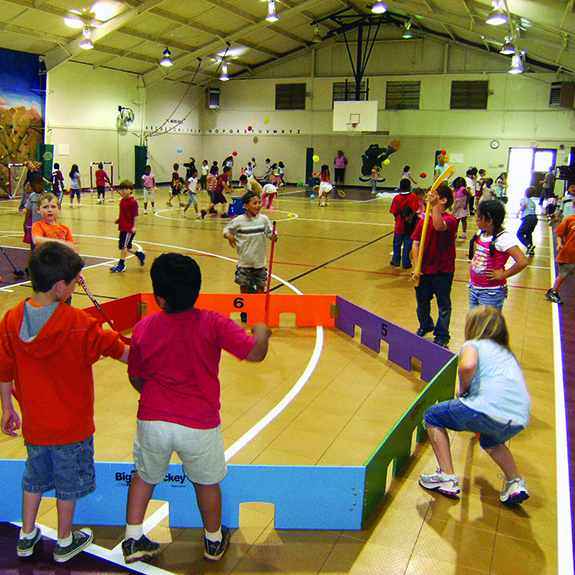 Best in class, proven performer and a comfortable surface make Defense™ the ultimate choice for elementary and middle school gyms and activity centers. With quick install, your athletes can get playing as soon as possible. 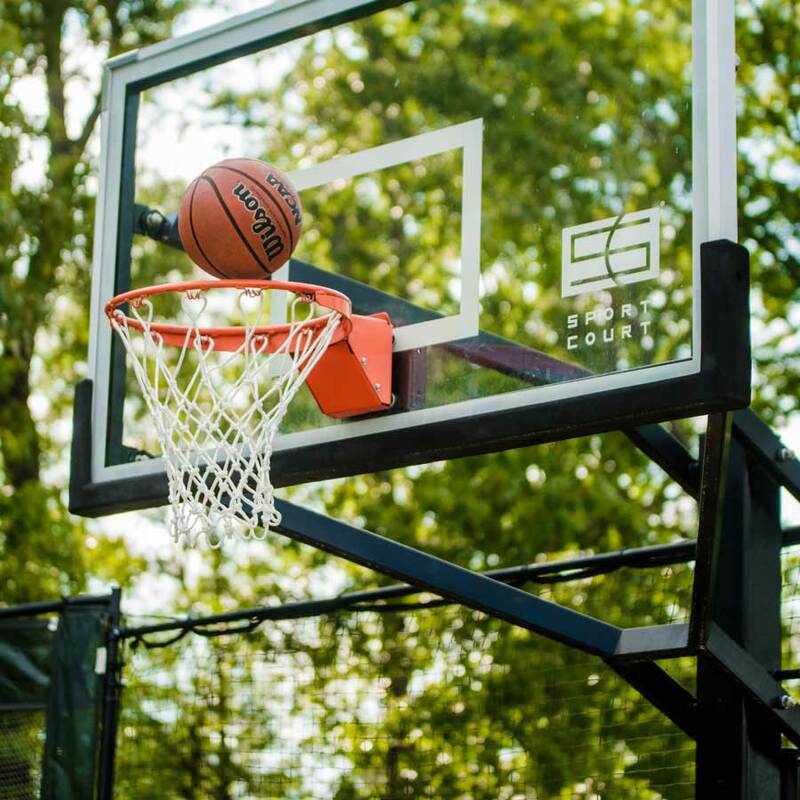 Professional quality hoop systems give you the best in both safety and performance. With superior corrosion protection, tempered glass backboards, pole pads and backboard pads give your athletes increased safety. You want your athletes to play safely at all hours. Don’t limit their playing time to when the sun goes down. With our single and double headed lighting solutions, your athletes have all hour play at their fingertips. With simple pulley and crank systems, you can raise or lower the nets for a game of volleyball or tennis in a matter of minutes. Versatility was in mind with the construction of these nets. The fun should always remain on the court. 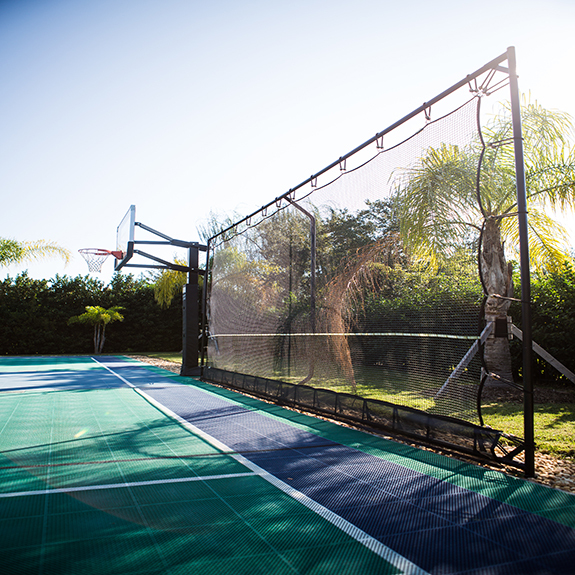 Our unique soft-fencing netting gives you years of protection for your court without being an eyesore. These features, typically designed as temporary structures, are less costly than permanent chain-link and other fencing. Our relationship with Precision Artificial Grass allows us to offer any synthetic turf solution for residential and commercial projects. 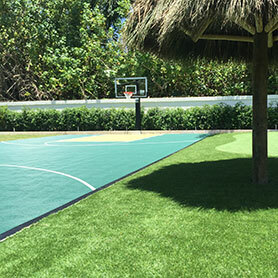 Precision Artificial Grass will ensure that you have enough space to play your favorite sports and incorporate your additional design elements.